The D.C. Council has voted to approve Councilmember Phil Mendelson for acting chairman of the council in the wake of Kwame Brown's resignation. Although Councilmember Vincent Orange was expected to make a play for chairman -- despite the overwhelming support for his colleague Phil Mendelson -- he eventually agreed to run for chair pro tempore against Councilmember Michael Brown. "I'm the best!" Orange told the Council in a speech. Unfortunately for him, they disagreed and voted against him for the seat 8-4. Brown won the pro tempore spot 11-1 (with Orange being the only "no" vote). The hearing was on the acrimonious side, with several members taking shots at each other. Yvette Alexander was moved to tears as she implored her colleagues to stop the petty fighting. "I'm sick of it," she said. Mendelson took his seat at the center of the dais and closed the meeting with a message to the Council: "Let us individually and collectively once again become an institution people can trust." 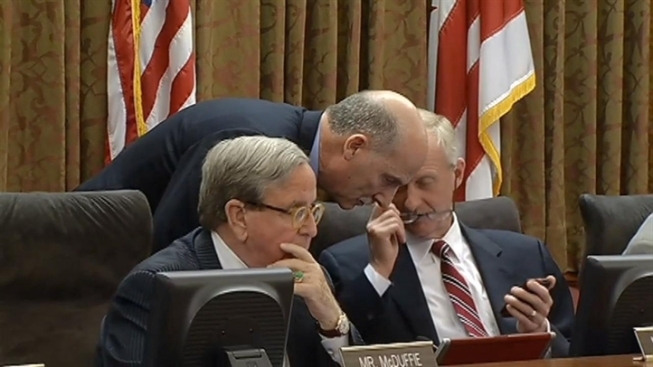 The D.C. Council entered its chambers through a velvet rope today. Stay with News4 and NBCWashington.com for more information.